Join Nancy Frey and Douglas Fisher as they outline a clear-cut, realistic, and rewarding approach to formative assessment. They explain how four discrete steps work in tandem to create a seamless, comprehensive formative assessment system—one that has no beginning and no end. This ongoing approach enhances an active give-and-take relationship between teachers and students to promote learning. Step 1: Feed-up ensures that students understand the purpose of an assignment, task, or lesson, including how they will be assessed. Step 2: Checking for understanding guides instruction and helps determine if students are making progress toward their goals. Step 3: Feedback provides students with valuable and constructive information about their successes and needs. Step 4: Feed-forward builds on the feedback from step 3 and uses performance data to facilitate student achievement. Dozens of real-life scenarios demonstrate how to apply these steps in your classroom, always focusing on the presence or absence of student learning to guide the action. By enabling teachers and students alike to see more clearly what they need to do for learning to be successful, this approach builds students’ competence, confidence, and understanding. 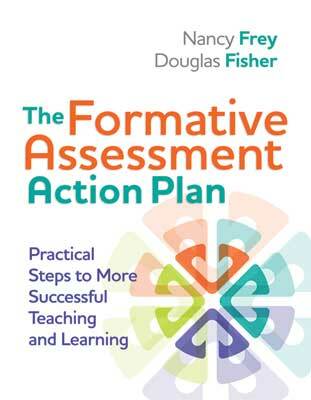 No matter what grade level you teach, The Formative Assessment Action Plan will help you make better use of assessment data so you can more quickly adjust instruction to keep every student on the path to success.